so it`s the week after pitch and week, unfortunately I missed last weeks pitch and crit session with the 1st 2nd and 3rd years due to mitigating circumstances but my quarterly presentation went better than expected. 🙂 no problem with the volume of work I`m putting out i was told. since then, i`ve been finishing off the rest of the bit.cops environments. room 5.5 I made some` middle` rooms to pad it out a bit, but I didn’t want to upset my documentation. 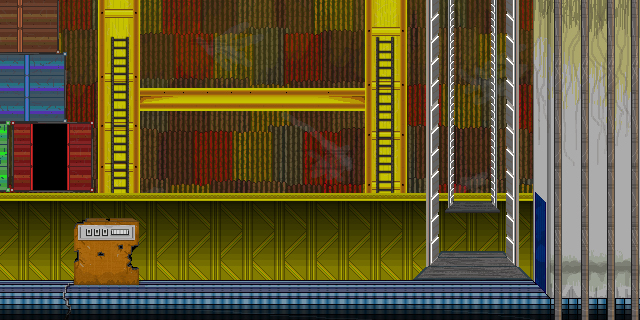 in this scene, the panel on the left acts as a switch to move the elevator and cover, of course once the second player gets across it`ll be destroyed by gunfire. then once all the enemies have been defeated the path to the right will open up. room 6. the boss fight room. room 7, the final/finishing encounter. the cop on the top path (red room) will be pinned down by the boss`s fire. it`s up to the second cop to infiltrate down below, sneak upstairs and melee him from behind, causing him to flee to the roof. and that`s all for bit.cop at the mo. starting tomorrow i`m going to move onto character animations will probably take another two weeks. got some gamasutra articles I want to quote on briefly, so I have something relevant to look back on when im creating my dissertation. i saw a brilliant observation in this article about “indie game bottom feeders” in which a developer talks his experience over 15 years of developing indie games. And the Atari 2600 is still fun. It’s just not fun enough. The art of game design has progressed far beyond it, and Pitfall doesn’t have what it takes to compete anymore. But you know something? All of those old games can be updated. All of those old genres have tons of fans out there. They just don’t know they’re fans yet. Twin-stick shooters. Adventure games. 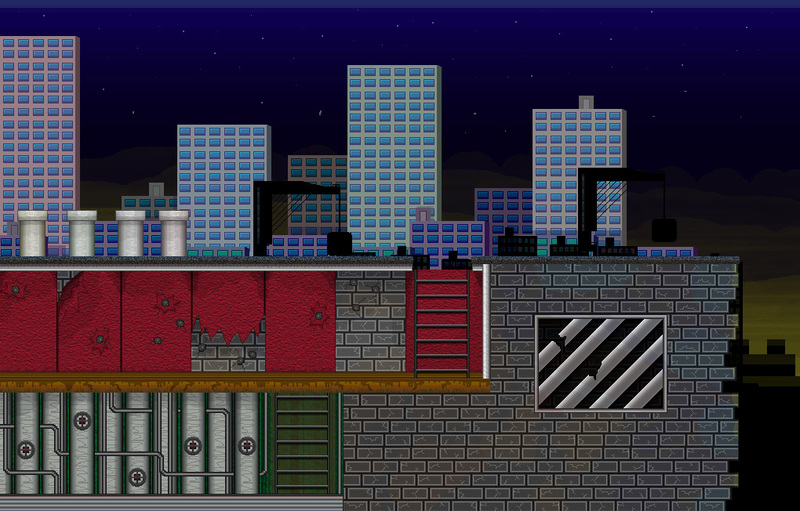 2D platformers. 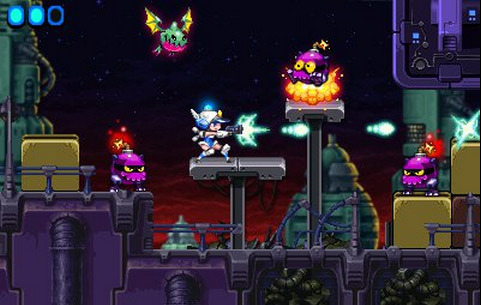 (2D platformers are like Viagra for indie game developers.) Bullet hell games. Tactical wargames of Aspergian complexity. Flight sims. Puzzle games of nearly infinite variety. Yes, turn-based RPGs. These were once hugely viable genres, and there’s a good reason for it. They were awesome. that reminds me. 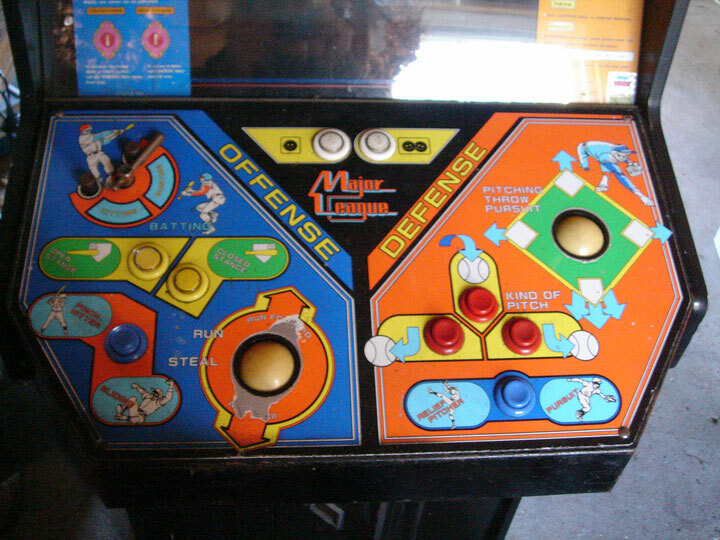 developers should also be looking at retro arcade cabinets for inspiration/innovation. there were many kooky/gimmicky control methods which could be updated/implemented into modern hardware. they deserve to be updated as they could still be a lot of fun with a little polish. and what was once old, is now new again. he raises a great point and it`s a phenomenon which is happening everywhere and it`s the essence of neo-retroism. all those forgotten genres and retro throwbacks can still be improved and innovated. everyone’s just too caught up in the HD photorealism race to care. im finding more and more links between neo-retorism and indie game development. the obvious factors would be that retro visuals are serviceable for quick development and small teams, but also a strong nostalgic factor. maybe the devs aren’t getting the same experiences in their games that they fondly remember and are now taking it into their own hands albeit with a modern twist. next up is an article about sales numbers and financials. boring stuff but it does have a mention about one of my favourite developers wayforward. namely about their succesful sales strategy regarding their neo-retro titles. okay so this statement tells us, that tailor-made content for a service (neo-retro titles on digital download) is more likely to succeed as it has done for them. seems simple enough. i constantly harp on about how neo-retrosim is the perfect counterpoint for first person shooter saturation and HD graphics horserace, but it may be a perfect fit for casual and edutainment markets. a neo-retro title without a crushing difficulty may seem like it`s defeating the purpose, but the limits of how far you can push a game without losing its retro authenticity is yet to be fully explored. one more from gamasutra. it`s another indie feature of course. this time it`s about realm of the mad god which i touched on very briefly last semester. it`s a innovative mmo with various wild mechanics like permadeath and the ability to reach the maximum level of play in just 30 minutes. Alex and Rob were new to the gaming industry, but they had advanced degrees in computer science and substantial experience working on massively scalable systems at Google. They were smart, earnest and motivated, and obviously willing to buck convention. 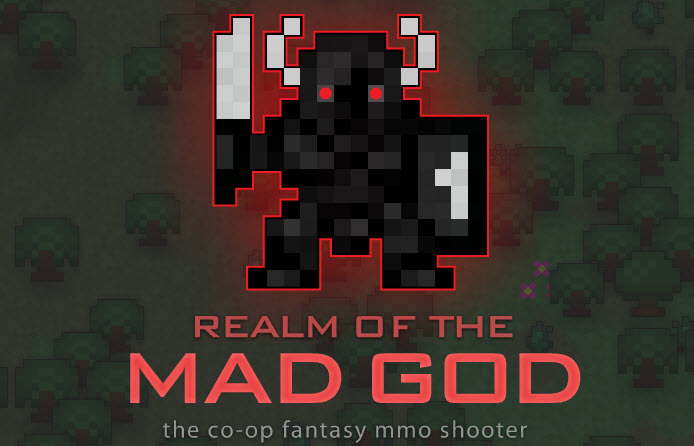 So we partnered with Wild Shadow, with the goal of refining RotMG‘s design and implementing a coherent monetization plan. the pixel art in-game has been touched up slightly with things like particle effects and strokes, but it could stand to look a little better. And, crucially, we treated the project not as a huge bet or investment that could not be allowed to fail, but as one of several experimental games in our portfolio. And as with all our other titles, we accepted – and embraced – the possibility of failure, because we do not believe that it is possible to truly innovate in any other context. so as they say here, neither of the developers specialised in art. 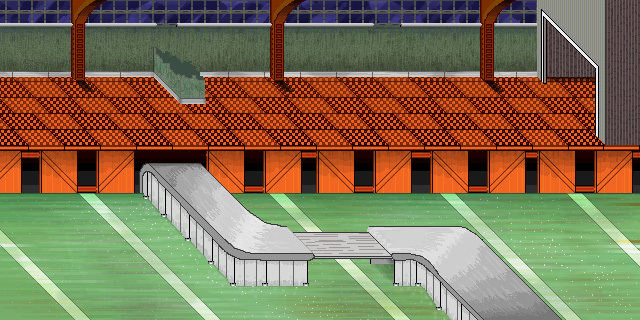 so without a dedicated artist and a non existent budget, they adopted a very pixellated 8-bit aesthetic, with the leftover processing power going to all the games mild mechanics. One technique we used to identify and fix major design issues in RotMG was to skip the “private beta” and iterate rapidly with a public audience throughout the majority of the development phase. Despite the public nature of our work, we regularly made dramatic changes to the game. Some of the changes were well-received by players; others caused riots on the RotMG forums. In each case, we did our best to explain our rationale to the game’s slowly-growing community, but we never stopped making big, public changes and observing the results. Most companies plug away at their games in secret, using (at best) highly controlled playtests to learn how to improve them. being able to iterate the public release, was surely helped by the simple visuals. and this development strategy may not have been as rapid if the game used HD visuals and even 3D graphics. just one more thing for this blog, I`ve done a bit of work on my dissertation so far, i tried typing up the abstract and introduction but decided to pull it back a bit to try to get the structure in place. 1a indies kickstart this new genre/continues to grow with the diversifying market and online marketplaces/this genre will expand as graphics peak and digital distribution becomes the norm. 1b draw parallels to other old forms of media, like impressionist painting, puppetry and noir film. 2c but keeping the `spirit` of retro, whatever it is. and that’s all for now. hopefully I will have some cool rotoscoping stuff to show off next post!